A moving love story set in World War Two will start the 2017 season in the latest collaboration between a leading London-based theatre production company and one of Manchester’s newest arts venues. Yank! is a new musical which has been performed Off Broadway. Its UK premiere will be a four-week run from Thursday 9 March to Saturday 8 April at Hope Mill Theatre, in Ancoats. The show is the first in a hat-trick of productions for 2017 through a proven partnership between Aria Entertainment and the award-winning Hope Mill Theatre. They first joined forces in January 2016 to spearhead the arts venue as a platform to showcase, revive and bring new musical theatre to the North. Tony award winning Parade was the first collaboration between Aria Entertainment and Hope Mill Theatre. The musical featured 15 actors and a nine-strong orchestra. It ran for four and a half weeks, which included an extra week due to public demand and following rave reviews. Following the success of Parade, came the team’s critically acclaimed production of American tribal rock musical HAIR, which closed only in December. Aria Entertainment is a theatrical production company headed up by Manchester-born Producer and Company Director Katy Lipson, who has a wealth of experience in producing new and established works in the West End, Off West End, Edinburgh Festival and UK tours. Each year, Aria Entertainment produces at least one musical revival; new British musical; new American musical; a play; new cabaret show; and a season of new musical theatre called From Page To Stage. Hope Mill Theatre opened in December 2015 and is located in the Grade II Listed Hope Mill. The 120-seat theatre is the brainchild of Joseph Houston and William Whelton who, after a career in theatre and living in London, were inspired by the highly regarded Off-West End Theatres and wanted to replicate it by forming a creative hub in Manchester. The five-storey mill is also home to writers, artists and designers. Together, Joseph and William are putting the venue on the map. 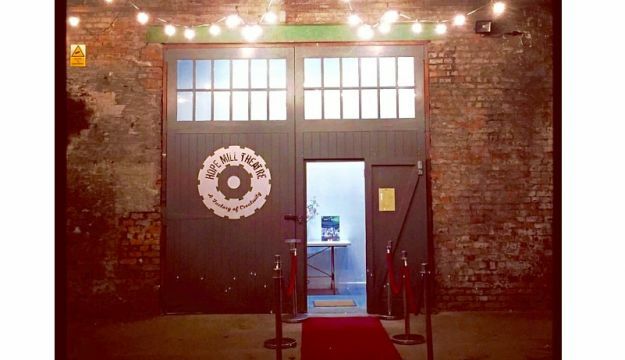 They have already scooped The Hospital Club ‘Club 100 Award’ in the Theatre and Performance category, and now Hope Mill Theatre has been shortlisted in The Stage’s prestigious awards to recognise the venue in the fringe theatre category. Yank! 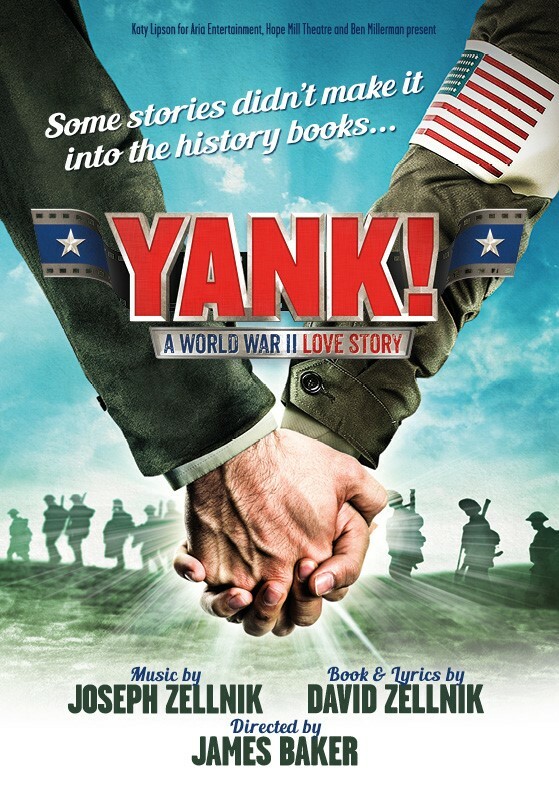 is a World War Two love story which tells the story of Stu, a scared Mid-Western youngster who is called up in 1943. He becomes a photographer for Yank Magazine, the journal ‘for and by the servicemen’. The musical explores what it means to be a man, and what it is to fall in love and struggle. With the book and lyrics by David Zellnik and music by his brother Joseph Zellnik, the score pays homage to the timeless music of the 1940s. Yank! will be directed by James Baker, and co-produced with Ben Millerman from Mr Millerman Presents. Completing the creative team for YANK! are James Cleeve as musical director; choreographer Chris Cuming; designer Victoria Hinton; lighting designer Aaron J. Dootson; sound designer Chris Bogg; and casting director Ben Newsome. Later in Hope Mill’s 2017 musical season in August and September will be the Northern premiere of Pippin, which will be directed by Jonathan O’Boyle who recently directed HAIR. Pippin is the multi award-winning musical about a young man’s magical, unforgettable journey to be extraordinary! The high-flying, death-defying hit musical comes from the composer of blockbuster show Wicked! This is followed in November with the UK premiere of the hit Broadway musical Little Women, based on Louisa May Alcott’s classic 1869 novel Little Women following the adventures of the March sisters.